Sarawak FA head coach Ian Gillan might just be pondering his next line-up as several key players are now starting to fill his injury list. Both Mateo Roskam and Dzulazlan Ibrahim had been left out of the trip to Johor last Monday, and remain doubtful for the coming match against Pulau Pinang this 17 May. Roskam is Sarawak’s top foreign striker, and utility player Dzulazlan had been influential as a right defender, and sometimes a midfielder. However, the latest news from Stadium Negeri is that local top striker, Bobby Gonzales is also currently doubtful for the match. Bobby uploaded an image of an injured foot on his social media today, and team mate Benedict Martin somewhat confirmed the Sabahan is carrying an injury as he wished his team mate a speedy recovery. 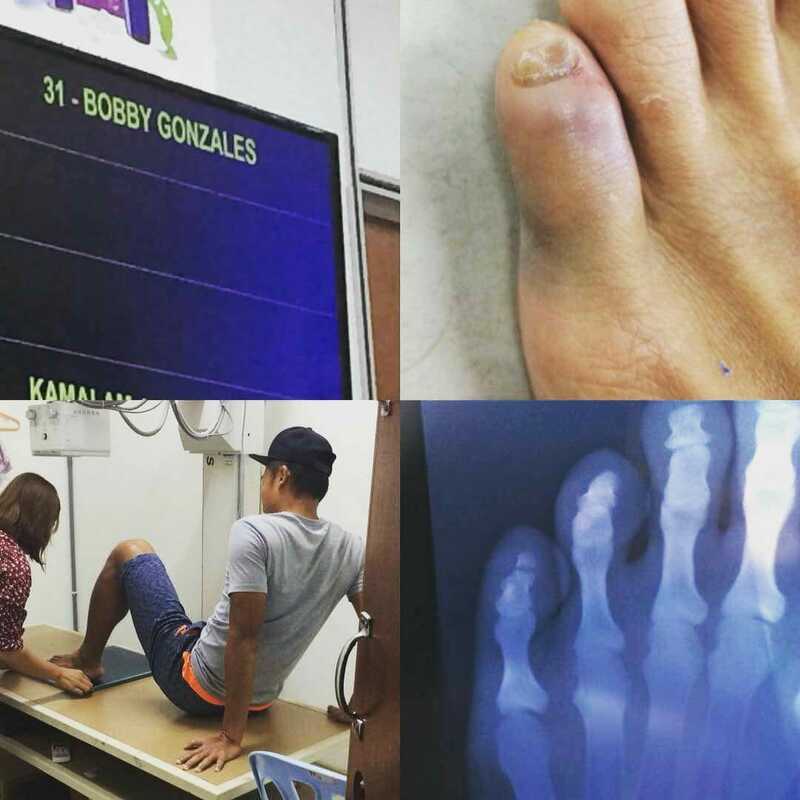 Photos of his injury uploaded by Bobby on his IG. Bobby even captioned ‘Injury list’ for the photo, providing concrete evidence that he may just be nursing an injury and may not play in coming games. With both Mateo and Bobby doubtful for the next game, the biggest question is not who will be filling the void up-front for Sarawak FA, but rather whether those selected can live up to the expectations of Ian and the passionate Sarawak FA fans.